Robert A. Wray is a successful author of computer programming textbooks. 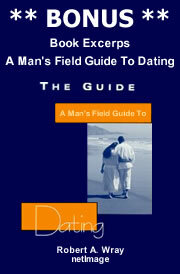 A Man's Field Guide to Dating is his first publication in the self-help category. He has been a public school teacher, college instructor and spent several years as a consultant and trainer before founding netImage, a web design firm. He then worked for IBM. 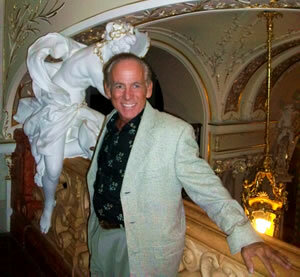 Today Bob Wray directs international tours. He is single and spends his leisure time at the beach, swing dancing, playing guitar and working out. He also enjoys skiing, sailing and, of course, dating. He is currently working on a dating guide for women. Some of you are interested in Latin America or Asia. 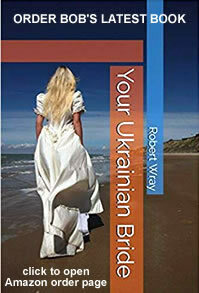 Because of past travels, I selected the Ukraine. I decided to book the March 23, 2011 tour to Odessa, Nikolaev and Kherson although I had never visited these cities. Before I found AFA, I had been writing to several ladies on another site. This turned out to be an advantage because I was able to meet them and AFA had no problem with this although I had dates with many AFA girls. This preparation became a considerable advantage because I was able to “hit the ground running” and had dates immediately upon arrival. More on that later. So what are the key factors for success? Well, I believe it is several things. AFA delivered all that they promised and more. We are all responsible for our own happiness. I would say that the keys are focused expectations and preparation. My dad used to say “Son, if you don’t know what you are looking for, you will never find it”. Simple, but so true. Know in advance what you are looking for and do your best to not deviate from your criteria. These are the “dealbreakers”. Examples are age, position on children, for me, height. For you there may be others. I don’t mean to dismiss the magic. It happens. Are you willing to be flexible on your criteria for that special girl? Believe me, they are out there and they are more flexible than you. Then there are expectations. How do you define success? Engagemet in a week? I saw it happen. However, for me I looked at it this way. I was determined to go on a much needed vacation and have a great time – I did. I reasoned that if I returned with the personal contact information of several girls that there was mutual attraction, great. That happened also, and I am working that now. Also, I will return soon, although not on a tour. I need to discover if there is serious attraction with these ladies and perhaps others. So, there it is for me. I am sure that it may be different for you. I saw this among the great group of guys on the tour. We are still in touch. You have the opportunity to meet hundreds of girls of all types, ages and circumstances. The folks in the agencies and the fantastic translators will do all they can to help you and want you to succeed. I have no complaints about any aspect of the conduct of the tour. You will see for yourself. View the videos of past tours. They are very accurate and truthful. Now for some practical advice. Make a decision and go!! Very few men do so. I had a date with a gorgeous girl and asked how many letters she received and how many guys she had met. She said hundreds of letters (she was very beautiful – a 10 over here, but I was only her second date!!) I am still in touch with her. When you go, you will be like a rock star over there. The fact is that there are millions more women than men. The Ukranian guys don’t treat them well and die early. The odds are greatly in your favor. Age is a very minimal factor for them. Although I was not serious because of my criteria (which I very carefully followed), I was easily able to date girls much younger than my daughter! 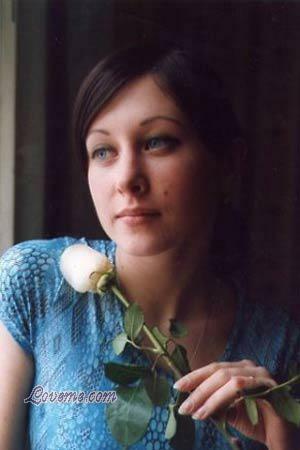 Perpare ahead of time by selecting ladies that you feel you could be serious with and write them. Don’t write hundreds of letters. It is not necessary. Be selective. The agency will help you meet them. That was key to my success. In 11 days and 3 cities, I had over 30 dates. Now I am home with a handful of ladies that could be “the one”. Oh, and don’t dismiss serendipity. I saw it happen. You meet a lady one way or another and lighting strikes – carpe diem! Just be sure to do what you can to get to know her and see if there is a possibility. On the flip side, be very careful about “junior high infatuation” and being crushed if doesn’t work out. I also saw this happen. Get back on the horse and attend all the socials. Forgive me for being so verbose, but I am on your side and want you to find happiness. We all deserve it. Study all the information on the AFA site, ask for references (I’m happy to speak to you). Learn a bit about their culture and their language. Buy Bud Patterson’s excellent book. Dial in to the calls and webcasts. Then get off the couch, book a tour and go!! It’s the only way and worth every penny. (what would an 11 day vacation or cruise cost you and how many women would you be likely to meet?) I wish you all the best. You are thinking “outside the box” and being courageous. You are one of the few.